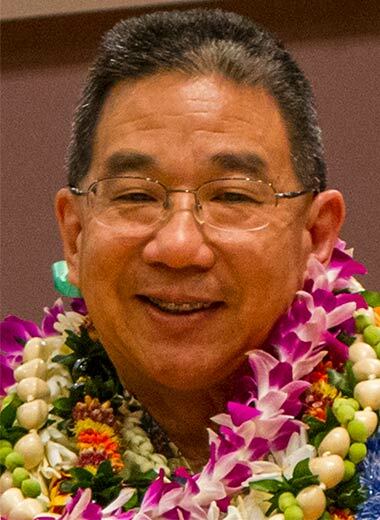 Each year, the Chancellor recognizes the leadership and service of UH Mānoa faculty, staff, and students committed to enhancing the University’s mission of excellence. The 2013 Awards ceremony was held on April 30 in Orvis Auditorium. You can also see photos of the ceremony on our Flickr pages. UH Mānoa faculty and staff have also received other awards for their achievements. Visit UH System’s Faculty & Staff Awards for previous recipients. John Lynham is an Assistant Professor of Economics. His ancestral lineage of teachers extends back seven generations. Lynham learned from his mother that experiential learning is the most effective method of learning, which he engages in wholeheartedly. A colleague describes how reading Lynham’s student evaluations is a joy because they often speak of him as the best professor they have ever had or credit him with their decision to major in economics. 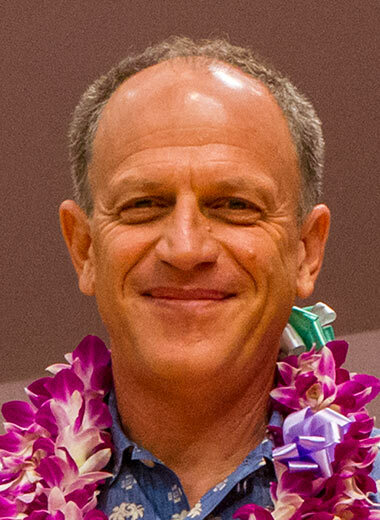 One student stated that, “he navigates what could be divisive cultural or ideological issues with tact and respect for all students so that discussions explore new ground and lead to sometimes unexpected conclusions.” Lynham firmly believes that students who graduate from Mānoa who are equipped with an understanding of economic principles will earn more, do more and change more. Melody MacKenzie is an Associate Professor at the William S. Richardson School of Law. Passionate about law, she values generosity, humility and kindness in her teaching, and treats her students with the respect that each of them deserves. 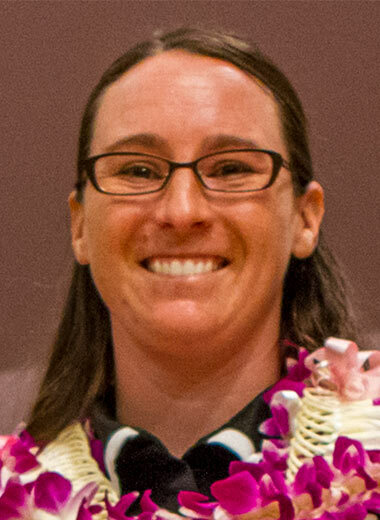 Her courses are described by a colleague as a “unique blend of indigenous peoples struggles with western law, both highly conceptual and intensely grounded in community cultural practices.” MacKenzie is well-liked by students who leave class understanding the complexity of law in areas as challenging as Native Hawaiian Rights, and realizing how fluid and dynamic law can be. 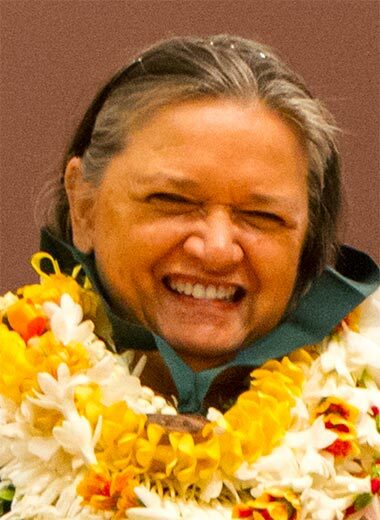 As founding director of Ka Huli Ao Center for Excellence in Native Hawaiian Law, MacKenzie is called upon to teach, consult and supervise outside of the classroom. Beyond the university, she is widely recognized in the local and international communities. 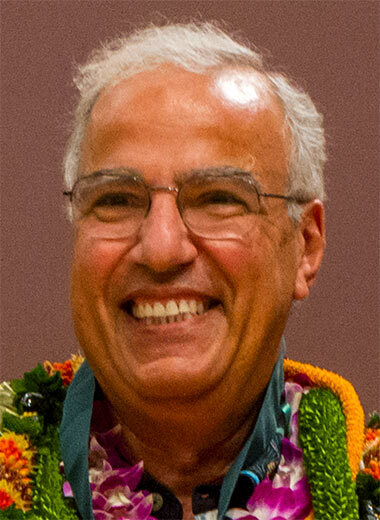 Magdy Iskander is a Professor of Electrical Engineering and the Director of the Hawaiʻi Center for Advanced Communications (HCAC). One of the most innovative and influential researchers in electromagnetics, he has made significant contributions to electromagnetic theory and applications, published numerous papers, and obtained eight patents. His pioneering research on “Microwave Stethoscope” technology promises breakthroughs in affordable healthcare and patient monitoring in remote communities. 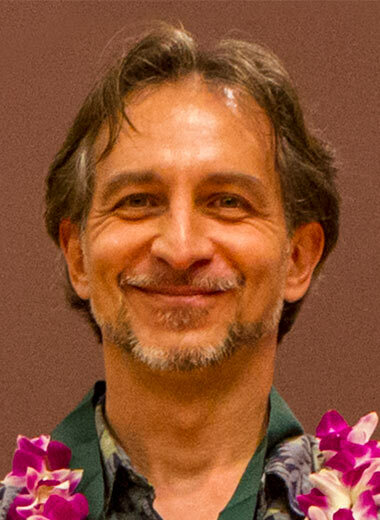 Iskander received numerous awards including the UH Regents’ Medal for Excellence in Teaching, and two international Distinguished Educator awards from IEEE, the largest electrical engineers’ organization in the world. HCAC is a partner in the NSF Industrial/University Research Center on telecommunications with four other U.S. universities and has collaborations with centers from China, Taiwan, France, and Spain. An NSF review praised HCAC for outstanding scholarly research contributions, exceptional facilities, and the innovative “Research Experience for Teachers” outreach program for middle schools. Bin Wang is a Professor and Chair at the Department of Meteorology and a team leader at the International Pacific Research Center. Wang is a world-renowned meteorologist specializing in climate and atmospheric dynamics who has pioneered our understanding of the dynamics and predictability of tropical climate and global monsoon in the Asian-Pacific region. He has shared his expertise and insights through more than 260 scholar publications and participated in pivotal international scientific conferences. He influences the future of the field through his extraordinary commitment to train PhD graduates and postdoctoral associates, some of which have now become prominent scientists in the field. Wang was elected as a Fellow of American Meteorological Society in 2008 in recognition of his distinguished contributions to atmospheric research and service to the community. He received the “Scientist of the Year” Award from ARCS Foundation in 2012. The Frances Davis Award for Excellence in Undergraduate Teaching recognizes dedication and demonstrated excellence as teachers of undergraduate students. It was established as a memorial to the late Frances Davis, who taught mathematics at Leeward Community College and UH Mānoa for 19 years. Maria Stewart is an Assistant Professor in Human Nutrition, Food and Animal Sciences. She enhances course relevance and increases student enjoyment of the highest enrolled introductory course in the entire college. Stewart’s combined enthusiasm for teaching and student achievement generates higher learning outcomes and greater student enrollment in the program. Her colleague’s praise her for having the “best innate teaching skills of anyone in the department,” and “stimulating learning through innovation, engagement, questioning, fostering, motivating and encouraging, to such a degree that she has positively impacted their own teaching practices.” Stewart’s daunting department responsibilities include advising 130 undergraduates, supervising teaching assistants, and mentoring students in her lab in which each are groomed to succeed. A student describes Stewart as an inspirational individual and one of their best mentors. 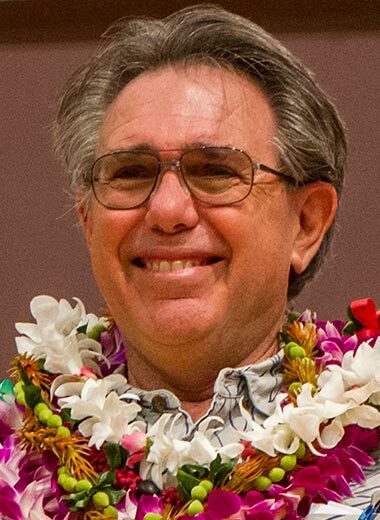 The Robert W. Clopton Award for Distinguished Service to the Community recognizes a UH Mānoa faculty member for playing a socially significant role by applying intellectual leadership and academic expertise to the improvement of the community. The award was established as a memorial to longtime Mānoa College of Education Professor Robert Clopton and first awarded in 1977. 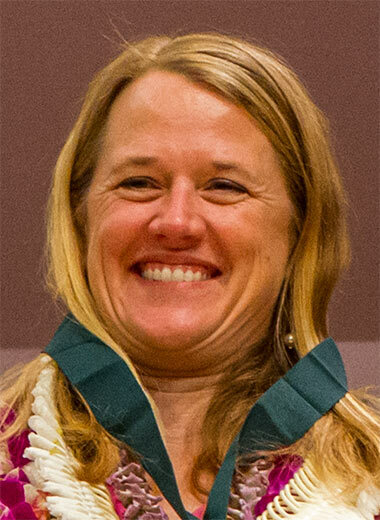 The University of Hawaiʻi at Mānoa Chancellor’s Citation for Meritorious Teaching recognizes Mānoa faculty members who have made significant contributions to teaching and student learning. James Skouge is an Associate Professor in the Special Education Department. 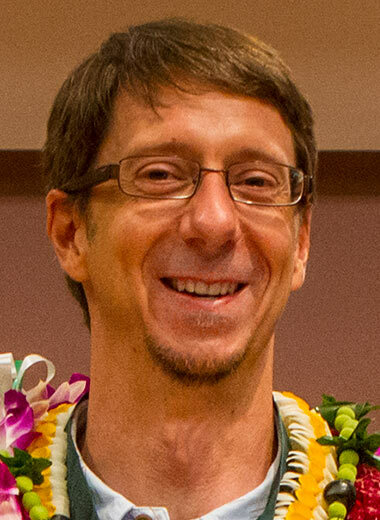 His work and commitment to empower students on the Mānoa campus and throughout the Pacific with new media encourages learning inside and outside the classroom. He is described by a colleague as being “passionate about inclusion in the creation of democratic learning communities and he inspires learners to act.” His commitment to communities that would not otherwise have access has extended above and beyond, tapping into his own funds to provide necessary communication tools. Those studying to become future educators view Skouge as a mentor and model, particularly in teaching those with special needs. A former student, now a practicing educator, notes that Skouge empowers people to achieve more than they ever imagined possible. 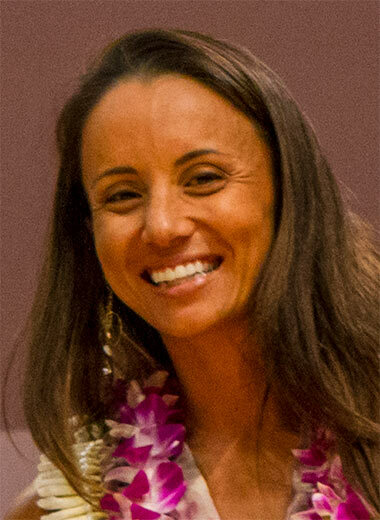 Noelani Goodyear-Kaʻōpua is an Associate Professor of Indigenous Politics in the Political Science Department. One of her great joys is helping students transform a vague sense of discomfort or wonder into a clearly defined direction for inquiry and plan of action. 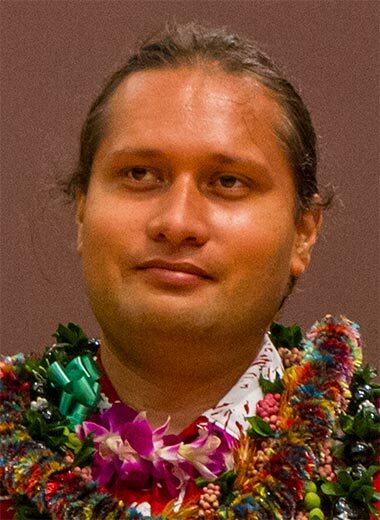 A former student attracted to the study of theory that extends into application and practice speaks of Goodyear-Kaʻōpua’s groundbreaking research that documents, envisions and creates alternative and liberating educational systems and concepts of nationalism. Colleagues express the good fortune to have a teacher and scholar of Goodyear-Kaʻōpua’s caliber. 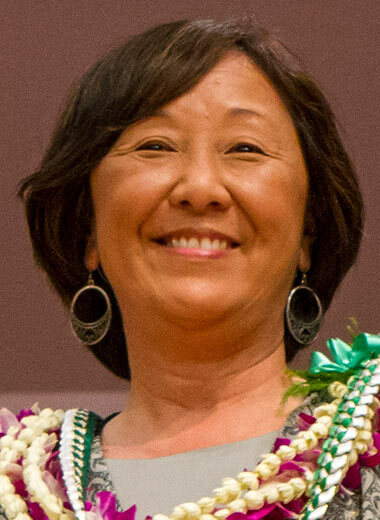 She is one who advances the University’s priorities as a Hawaiian place of learning and is a visionary who believes that educators, students, families and communities together can shape more balanced and sustainable futures. 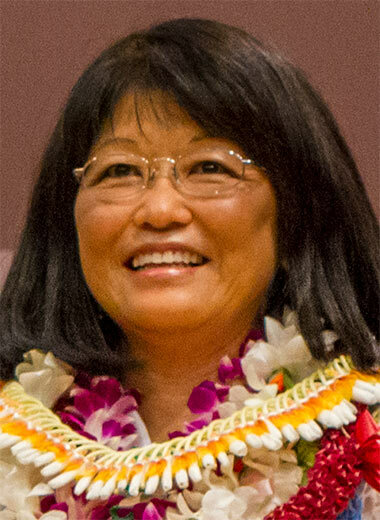 Merle Kataoka-Yahiro is an Associate Professor at the School of Nursing and Dental Hygiene. She has developed a learning-service community partnership model that has been introduced into the School of Nursing’s undergraduate curriculum since 1998, and has been at the forefront of the movement to assist nurses in rural and underserved areas to advance their education through grants to support distance learning. Colleagues consider her extensive research, clinical knowledge, and teaching ability to be a valuable asset to the nursing program. Former graduate students describe Kataoka-Yahiro as a true leader in her area of expertise, a stellar role model, and a consummate mentor in the areas of publishing and research. She is a nationally and internationally recognized expert in critical thinking. Her Critical Thinking Model in Nursing Judgment has been applied to nursing education throughout the country and been a framework consistently cited in publications. 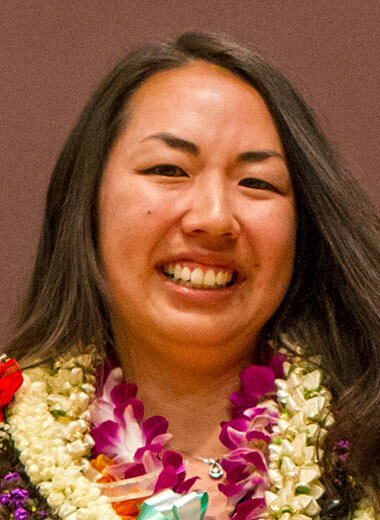 Lia Keawe is an Assistant Professor of Hawaiian Studies. She educates and influences student learning in ways that require a strong degree of rigor and responsibility. One student described Keawe as one of the most motivating professors they have had throughout an entire college experience. She simultaneously demands that students perform at their optimal while she creates a positive learning environment with the highest level of respect. Keawe engages in high-impact teaching practices and experiential learning strategies to engage students and create opportunities for them to interrogate, integrate, apply and demonstrate their understandings of the course. 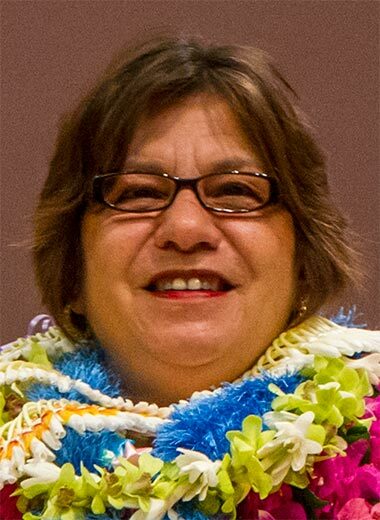 Her diverse research provides a blend of Kanaka Maoli perspective, Hawaiian studies curriculum, political science theory, and aesthetics and identity. Steve Robinow is a Professor in the Biology Department. In developing his own philosophy of teaching, he studies the expanding literature on how humans learn, and this research informs his practice of teaching. It is rare for Robinow to teach a course of less than 150 students, so he perpetually confronts the challenge of developing an engaging and active environment in a large lecture hall. His many innovative strategies include that of flipping the classroom, and making students responsible for learning much of the material outside of the lecture room so that he can use time in class to focus on problem solving skills. In great part due to Robinow’s vision, commitment, and inspiration, a new classroom designed to engage and energize teaching and learning through collaboration has been created on the Mānoa campus, the first of others to come. The University of Hawaiʻi at Mānoa Chancellor’s Award for Outstanding Service honors Mānoa staff members who demonstrate outstanding work performance, service and leadership. Criteria include record of competence and efficiency, exceptional contribution in the attainment of program objectives, creative solutions to difficult problems, integrity and dedication to the mission of a program. 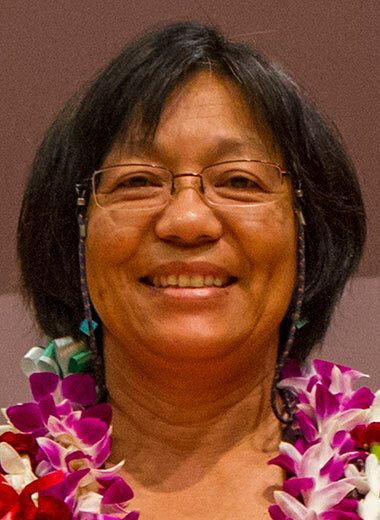 Ann Ito serves as the Director of the KOKUA Program in the Department of Student Equity Excellence and Diversity. 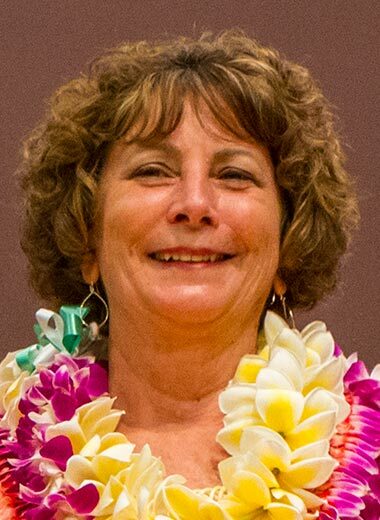 She has dedicated 42 years at Mānoa to the KOKUA Program, rising through the ranks and continuing to motivate and support students with disabilities. Colleagues say she does so without “patronizing, pitying, or lessening the academic bar that makes the University a strong system.” Ito encourages staff to become involved and to promote the program objectives by patiently educating faculty and staff about ADA accessibility. 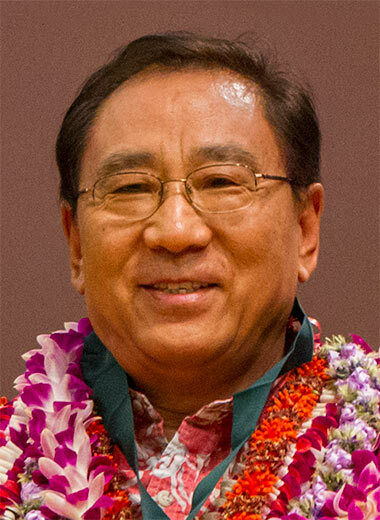 Ito has also been an active, faithful volunteer both on- and off-campus, including the bi-annual commencement events; serving on numerous search committees; and on many boards statewide such as the Library for the Blind Advisory Committee, the Advisory Board of the Hawaiʻi Center for the Deaf and Blind, and as a Governor-appointed Board member of the Disability and Communication Access Board. 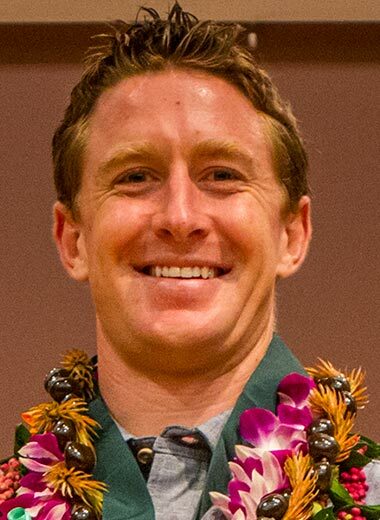 Established by the University of Hawaiʻi at Mānoa Graduate Division in 2005, the Distinguished Graduate Mentoring Award allows graduate students to nominate faculty for excellent mentoring, one of the foundations of outstanding graduate education. Krisna Suryanata is an Associate Professor in Geography. Her research is in the subfield of Human Geography, focusing on political ecology, resource management, and agriculture, which includes a wide range of topics including examining cases of indigenous resource management in Indonesia to understand their dynamism in contemporary political economic context. 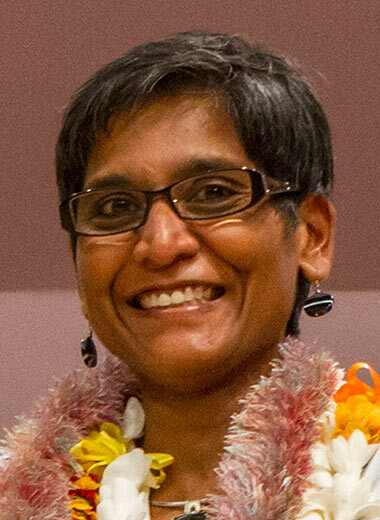 Suryanata’s current research investigates the political and cultural dimensions of technologies, including changes in property institutions that accompany the deployment of offshore marine aquaculture in Hawaiʻi; and the social and ethical implications of using spatial information technology and participatory mapping in countries in Southeast Asia. She is actively involved and chairs various graduate committees in Geography and in other departments. 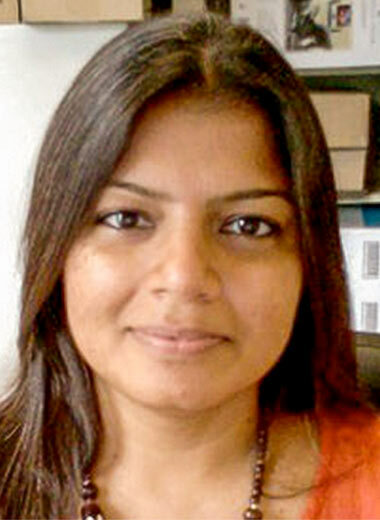 Suryanata judges her own success by that of her students, many of whom have received prestigious awards for their research. She has consistently demonstrated excellence in teaching and mentoring graduate students. Integrating classroom study with planned and supervised work, the Mānoa Career Center recognizes an outstanding Cooperative Education student who has made significant contributions in their Co-op placements, campus and community. 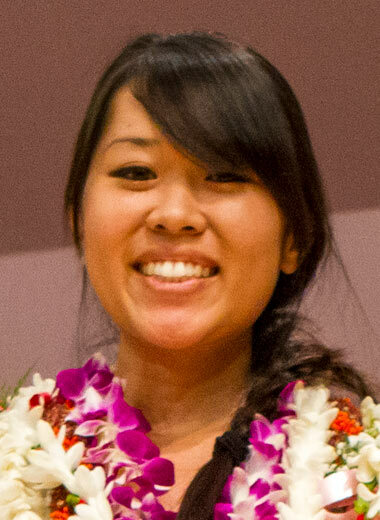 Carolynn Kitamura is a Co-op student with the Pearl Harbor Navy Shipyard. She is currently an undergraduate student in the College of Engineering, and will be graduating this semester with a Bachelor of Science in Electrical Engineering. At the Pearl Harbor Navy Shipyard, Kitamura assists in administrating the US Navy Submarine Photonics Mast Maintenance Facility Project and works with engineers and technicians to write Combat Systems repair and testing procedures. The Student Employee of the Year (SEOTY) Program was created in 1986 by the Mānoa Career Center to recognize and highlight the achievements and contributions of student employees on the UH Mānoa campus. Universities across the nation celebrate National Student Employee Week every April, highlighting the value of student employment in the overall collegiate experience. Tracie Lock, a senior in Biology, is an Events Services Manager at Student Life and Development. Lock consistently displays exemplary work ethic and has also developed into a leader amongst her coworkers, helping to inspire them and raise their work ethic and productivity levels. 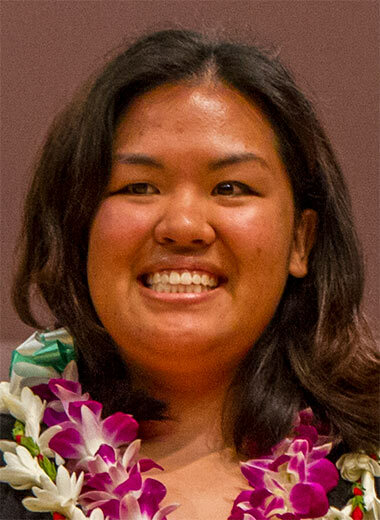 As the SEOTY winner, she was also selected as the 2013 Hawaiʻi State Winner of the Western Association of Student Employment Administrators. The Council of Academic Advisors recognizes an individual or unit who, over the past two years, has demonstrated excellence and/or innovation in advising, and/or has made a significant contribution to the advising community. Rikki Mitsunaga is an Academic Advisor at the Shidler College of Business. 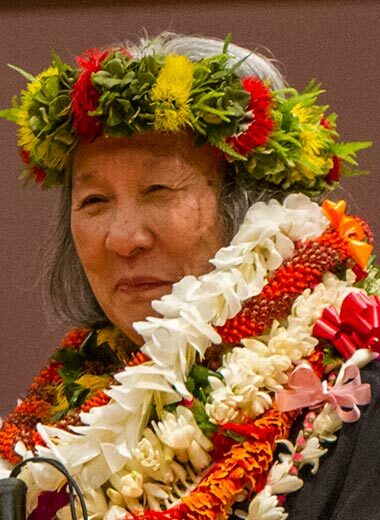 Mitsunaga has accomplished impressive achievements that demonstrate breadth of service and dedication to the Manoa campus and to her students. She has redesigned major scholarships in the college, worked on international student exchanges, served on the System-wide STAR degree audit board, and served as chair of the Council of Academic Advisers. Kiana Shiroma is an Academic Advisor for the Honors Program and Regents and Presidential Scholars Program. Shiroma has been a source of inspiration for her fellow advisors and greatly appreciated by students, due to her limitless energy, creativity, and enthusiasm. In just a few short years, she has helped the Honor’s program expand and improve its services and the opportunities offered to the Honors students.